Today we are going to make a delicious summer treat. Lychees are in season right now and they are a fantastic high-yield fruit for juicing. Lychees are not only delicious, but they are also nutritious. Just 100gs of lychees will provide you with 119% of your daily-recommended value of vitamin C for the day. Vitamin C helps you fight against free radicals that you come in contact with every day such as pollution. 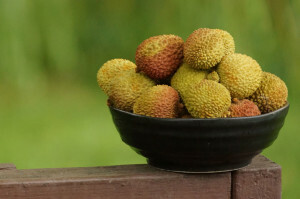 Lychees contain oligonol which are also anti-oxidants, but also are anti-viral. Oginol aslo improves blood flow to your organs, helps to reduce weight and protect your sun from harmful UV rays according to a study at the Kyorin University in Japan. 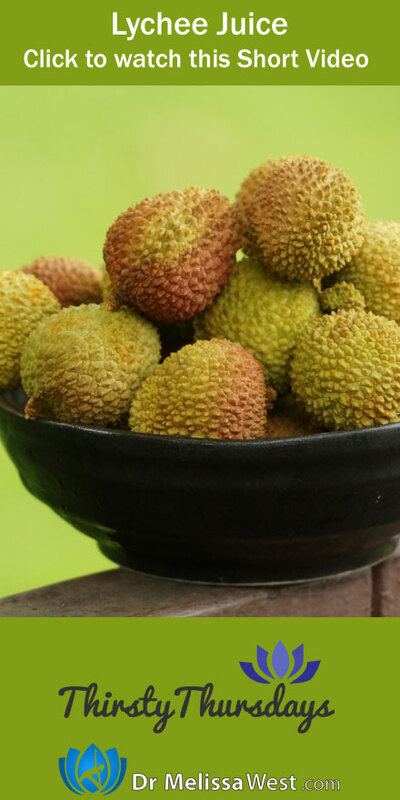 The lychee fruit also contains the B-complex vitamins including thiamin, niacin and folates. Last week I wrote in detail about how the B- complex vitamins help your body metabolize carbohydrates, proteins and fats in my blog post. Lychees contain a good amount of potassium and copper which are trace minerals. Potassium will help control your heat rate and blood pressure offering protection against stroke and coronary heart disease and copper is required in the production of red blood cells.